Smartwool socks are my favorite winter sock, both for outdoor and in-home use. And the reason for this is simple. 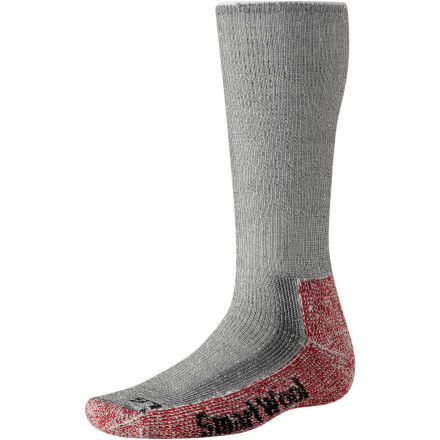 SmartWool socks are incredibly warm, soft and just feel great on the feet. If you are searching for a warm, winter sock (that can also be used during the summer too), then look no further than Smartwool socks. Smartwool socks are expensive, make no mistake about it. As they are constructed from premium shearling, the price of the socks will always be more than other standard wool, IsoWool or synthetic lab creations. However, in my opinion, they are worth every penny you spend. What? Well...you're in luck. Smartwool has plenty of other styles of socks available beyond the "hiker style," including dress socks and some pretty funky-colored ones. So if you can’t fathom wearing a "hiking" oriented sock, then head on over to Amazon to browse the multitude of styles of available. OK...I'll Get the "Hiker Style". But Which One? The Medium Weight - I personally prefer the medium weight for all-around winter use, while I’ll use the heavy-hiker on days I hang around the house or where I’ll be wearing boots if I head outside. For me, the standard medium weight socks fit nicely even in my sneakers. And for when I wear my boots, the medium weight sock is basically a perfect fit. The Light Weight - This is my preference for warmer weather. And by warmer, I say above freezing...actually, in the 40's and 50's. The socks are still thicker and warmer than most other socks you'll find, and as such work nicely in keeping your feet warm. But, as they are thinner, they just aren't as soft, warm and luxurious as the medium/heavy weight socks. Still, if your day to day shoes are tight, then the lightweight socks are what you want. The Heavy Weight/Trekker - The heavy hikers/trekking socks are designed for boots, although I am able to fit mine inside my athletic shoes and hiking shoes while wearing them since both these shoes stretch (it is a tight fit, however). Remember, these heavyweight hiking socks were designed for hiking, and not just day hiking. As such, they are thick and have tons of padding on them. Still, they are the one of the warmest socks you'll find for winter weather. And for around home use, you can't beat their thick and soft feeling either. For what it's worth, I wear the heavy-hikers at home during the winter at virtually all times. The Mountaineering Sock - Then there is the mountaineering version. As the name might suggest, this sock is used by people who climb very high and cold mountains for a living. These socks need to be used in boots, as I highly doubt that any athletic shoe will have the room for these thick yet very warm socks. Of course, the mountaineering sock doesn’t need to only be used on a mountain. For at home use, particularly if you suffer from cold feet, the mountaineering sock might just be the ticket for keeping your feet warm all day while at home. For these recommended socks, you can expect to pay around $20 - $25 per pair, which varies depending on where and when the socks are purchased. Occasionally, you can find them on sale. However, it’s been my sad experience that Smartwool socks rarely go on sale. 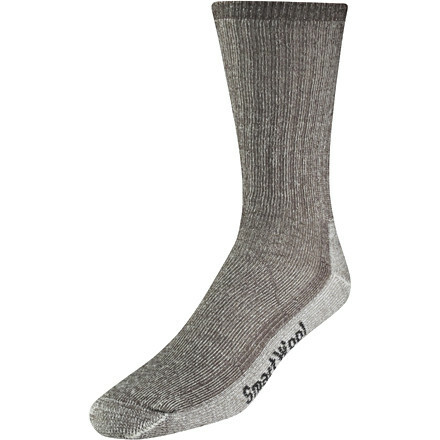 Smartwool socks are made from special wool called, not surprisingly, Smartwool. This is real wool, not some synthetic creation in a lab. However, unlike traditional wool, Smartwool does not have the itchy, scratchy feel to it. The reason is because the wool comes from New Zealand Merino Sheep, which provides the wool used in high-end shearling products as well as in Ugg Boots. As a result, Smartwool socks are incredibly soft, almost luxurious to the skin. Rather surprisingly, Smartwood socks can be used in all weather conditions without roasting or freezing your feet. The reason is because the special type of shearling used in the sock actually regulates the temperature, keeping the foot relatively cool in hot weather and comfortably warm in winter temperatures. This happens because each fiber of the sock (and there are thousands of fibers that go into each sock), contains thousands of air bubbles. These air bubbles, besides helping regulate the temperature of your foot, also provide two other benefits—wicking water from your foot as well as allowing your foot to breathe, all at the same time. Smartwool socks, however, do have one weakness in relation to their lab created counterparts. And that is their durability. However, the life of a smartwool sock can be extended through proper care. 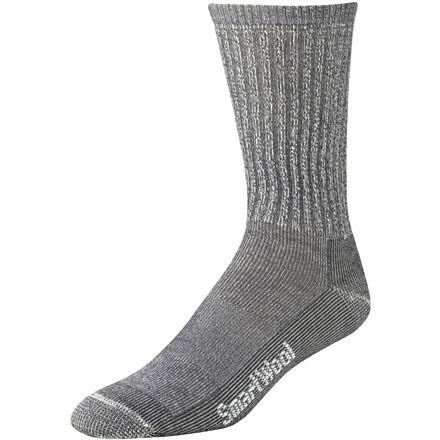 Smartwool socks, due to their heavy wool content, aren't quite as durable as other socks like Thorlo's or WigWam’s. However, I believe the extra warmth and comfort of the Smartwool makes up for this. Moreover, by doing some common sense things, you can substantially enhance the durability and life of Smartwool Socks. First, never walk in the socks on concrete, rocks, etc...While such walking wears down any sock, it will especially wear down wool socks. If you need to go outside and have your socks on, save your socks and put some slippers or something on. Second, be careful on how you wash and dry SmartWools. While some people advocate hand washing, I've found that that is going overboard. Instead, wash the socks in cold water (never hot, and probably not warm either) and tumble dry on low heat. Also do not bleach or wash with bright colors. 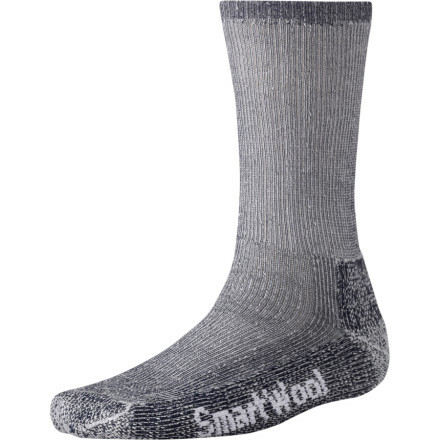 By following these simple steps, you should be able to substantially enhance the life of these socks, making your investment in Smartwool a "smart one."